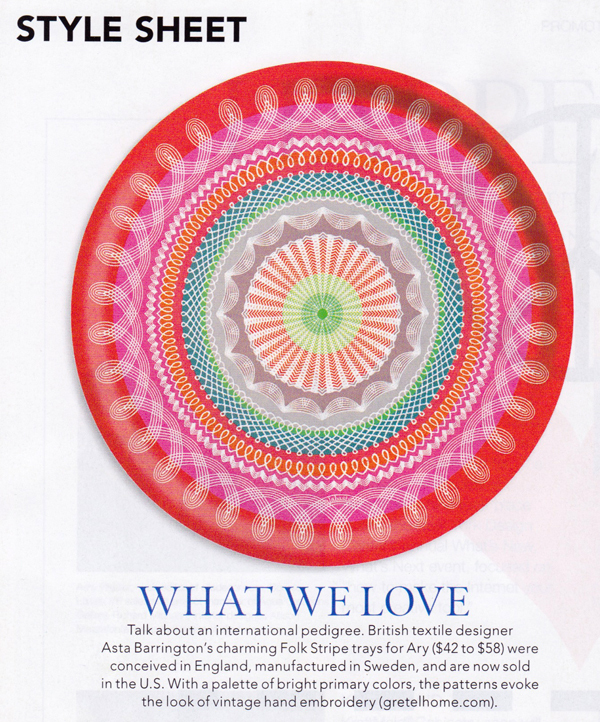 What I love is that 'what they love' is the red 38cm Folk Stripe tray. 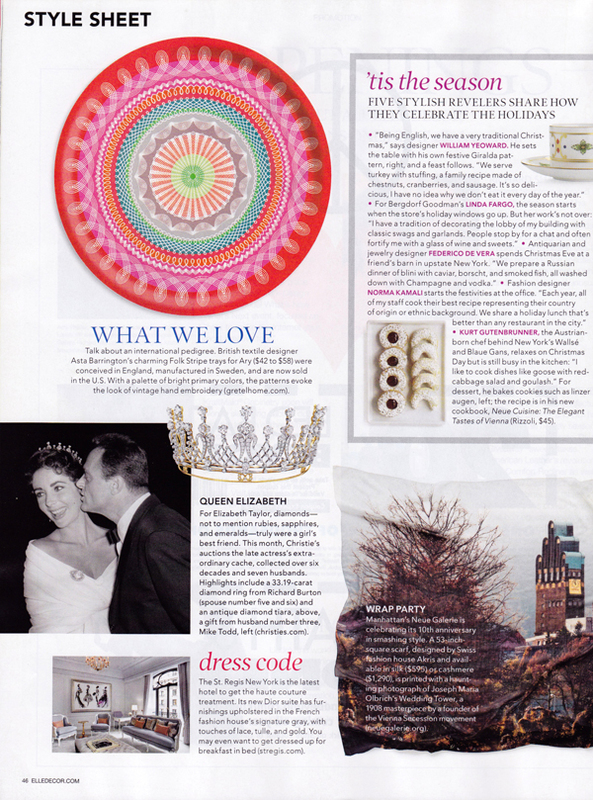 I'm very pleased to see the prestigious American Elle Decor magazine featuring an Alabasta product and in very exclusive company next to Liz Taylor's diamonds. I reckon that the tray is much better value as I can't see that tiara being used daily and it's hardly practical is it - unlike a top quality birch wood tray? 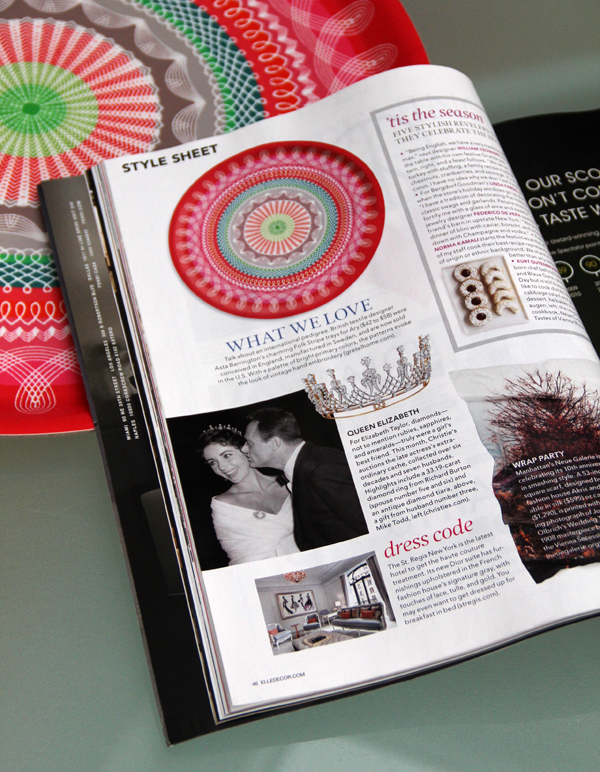 To see which other shops stock this 38cm red Folk Stripe tray, see the stockists info on the right sidebar of this page. If you are a retailer and would like to sell them please contact Isabel Saiz at Avenida Isabel Ltd for more information and prices. I love them too. But I dont' have a magazine to publish and tell everyone else. But I will tell everyone I know how gorgeous the folk stripes are. My Dutch pad is all the better for having one! Hooray!! !